One interesting data point from this research is marketers are not really tracking sales and ROI – only 23% and 20% of surveyed marketers respectively cited collecting this data. 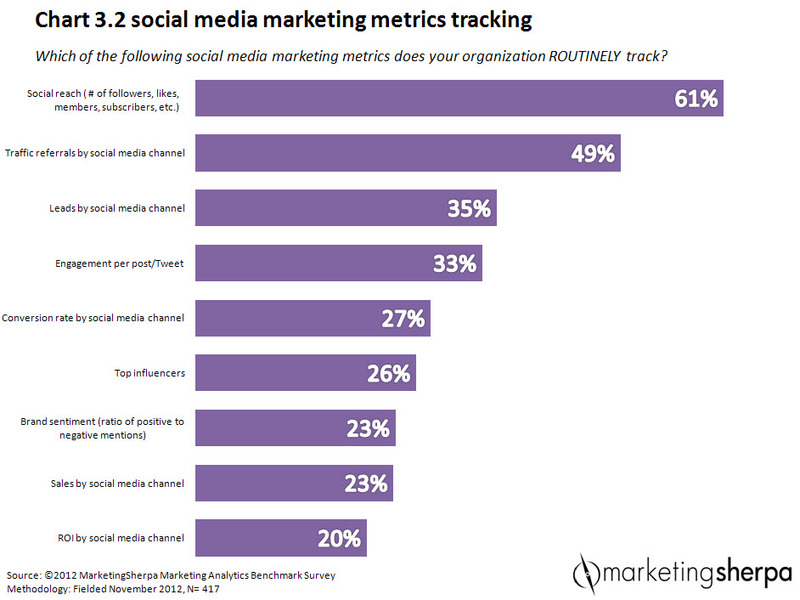 Those are numbers that need to rise for marketing to be able to prove the worth of social media as a marketing channel. Tracking campaigns down to return on investment is both the greatest benefit and also the greatest challenge for marketers. Digital marketing channels provide the data, but it’s up to the marketer to make full use of that data. Taking a deeper dive into our research, one reason marketers are not really maximizing social media analytics is the group of social media data analytics tools currently available. More than half (51%) of surveyed marketers reported being “neutral” about the analytics tools available to them, and a mere 4% reported being “very satisfied” with the current lineup of tools. That’s something we can do better. This entry was posted in Eugene, Nonprofits, Social Media ROI and tagged marketing sherpa, social media ROI. Bookmark the permalink. Social media is very important for a marketer today. But a marketer has to know about how to create a successful social media research using Social Media Analytics. Thanks for your post. Keep it up.